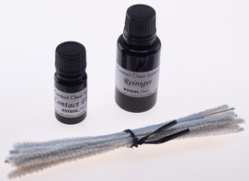 Contact Clear System is a system to clean and stabilize contact points. It consequently isolates areas which are not contributing to a perfect contact and that way leads to a considerably cleaner and more natural sound. Package with cleaning fluid, contact fluid and a set of cleaning brushes.